Can I tell you a story…a love story? As some of you know, for years I lived in Cairo, IL, tiny poor town in the middle of nowhere that’s like one big housing project that God loves immensely for almost all of my twenties. I encountered God and his love here through people, prayer, and encounter more than I ever maybe had before during these long often times stretching years. Occasionally a man that loved Jesus would interact with me over the phone for a brief period. Sometimes they needed mothering, sometimes they were trying me on, sometimes they were just lonely. During these interactions I would ALWAYS talk to the Lord about them to know what to do with my heart. He would ALWAYS say the same thing. 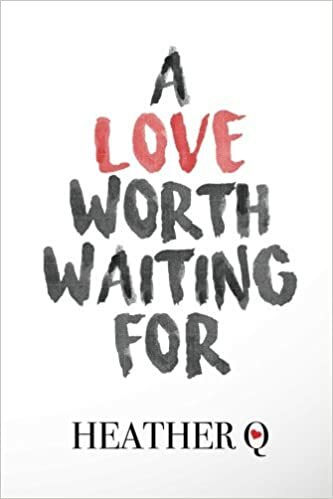 “Do you trust me?” I would overwhelming reply completely enveloped in his love already and say, “Yes.” And then he would always follow with, “Then wait.” And because I believed him, I would. Years passed. The Lord continued to interact with me over what my future looked like and he would share with me things he would desire me to dream about with him. Mostly involving nations and people groups and speaking and sharing God’s love. I saw churches, stages, planes, oceans and islands pass through my mind as I slept in this little place I lived in. Then it happened. Through entirely different story for an entirely different day, I took my first trip alone with Jesus to the nations. I met a group of people I’ve never met and danced in the amazon jungle with children would’ve never seen roads and swam with Parana’s one of the largest river tributary in the world. It was then the Lord began to speak of someone who would come alongside me in these adventures. I remember I painted the number two that kept floating through my mind then and if you look back, you’ll see whispers of it, I titled my writing for that trip PAIR-OO instead of Peru. More trips happened, more people were met, I got to hug more people and shine on them through my face the overwhelming love of the father. I continued to see 222’s wherever I would go. I don’t mind seeming silly or crazy. Love is the language of the exchange of the father and I. And then came Malta. Even then I shared of my heart and God’s gentle restoration of hope and redemption of memories in my life. He imparted me the desire for all that he has been dreaming over my life. The license plates there are super cheap to personalize and have three numbers and 222’s surrounded me like a swarm of bee’s. There are more whispers of promise the Lord spoke to me concerning that place and time but I will leave it as such for now. Two years prior my spiritual dad and another spiritual mom of mine told me during conversations that I would meet my husband as I traveled in the nations. I’m so good at waiting. And I LOVE surprises. They make life so much FUN. That brings us up to this past fall. I got the privilege of interacting with a certain young man for a short season who helped me once again see myself in context of relationship without ever engaging in one with him. He was speaking to me that I may meet someone in Mexico or Malta already doing what I love to do. Initially he had a hard time believing that someone like me could hope to do relationship living the lifestyle I live but then that led me to discovering. I OVERWHELMINGLY became certain that I could and would choose to dare to dream for relationship that God had been leading me towards without compromising who I was or how God made me. I wrote that man a two page letter that I will also post on here. It’s called “Living the Dream.” In it I speak of traveling to the nations and being a mouthpiece for God’s love and goodness. I see ministry in power but without position; the kingdom through relationships without titles; oh–and the nations, my love for traveling and the nations. I discovered that I would continue to dare to dream the impossible and that God delights in making it reality. Cue the email sent out by John Crowder for our Mexico trip. I peruse the participants. One sticks out in particular. The man I had talking to in the fall and myself wonderfully parted ways one day and when I hung up the phone from that conversation I checked my facebook and this certain someone from the Mexico trip had just asked to be my fb friend. It was as if I went from holding one hand to another without putting my phone down. Over the course of days the dialogue continued. I was confessing to the Lord I didn’t necessarily feel safe yet even though I had never met the man and the Lord said, “You haven’t seen the way he sees you yet.” The Lord encouraged me by talking about leading me into green pastures, etc, opening my mouth to speak publicly in this season, etc. I land in Mexico. My luggage doesn’t come, my card doesn’t work, I have no make-up on and am still in my 20-hour flight clothes. Completely disarmed, cue introductions. 🙂 Completely effortless; nothing to earn, nothing to maintain, no pretending, no hiding. The first day we free before meetings and ministry started and groups of us hung out, Joel being around me for the first time as I watched, listened and observed. As the first days unfolded I continued to watch and God continued to speak. My mind raced a bit and he said, “See him with my eyes Heather.” I felt the overwhelming love of the father and the celebration of his dad. The hopes of God as Joel’s heavenly father and the dreams of his heart concerning this son. As I was doing something else completely in a meeting I was wondering about all this that was happening and at the same time a doubt crept in about it and it was immediately interrupted by the Lord with, “I made you for Joel Heather.” I was like, “I don’t even know if my theology agrees with that statement!” And at the same time the fruit of it was that it stilled my fears and reestablished peace within me. The second day of ministry I got to preach. It was the day captured in my photo album. To kids and parents and it LOVED it. I LOVE it. We were going around letting the kids know to come at two o’clock. Come at two o’clock. The next day we went to a soup kitchen. Again I was invited to speak and share of God’s love for these people and what’s he done and what’s he’s really like. Usually the soup kitchen opened at 1:30 but for this particular day, again, it was at two. The third day I was invited to speak at a woman’s prison. OH MY GOSH I GET SO EXCITED ABOUT THIS STUFF. I ABSOLUTELY LOVE looking into the faces of these tough women and melting their fears away about God’s strength and power and his desire for them and their value and worth. Guess what time I got to share the gospel again this third day? Two o’clock. We looked for a place to hang out. There was a second floor with a number of large unused rooms. We walked into one that night, it was Friday and it was set up for a wedding the next day. The chairs all empty in rows, the tables set, and the overlooking balcony windows aglow in the night sky overlooking the city. And there in the front we talked, there in the front we shared, and there in the front we met one another that night. Our introduction and meeting has never been just about the two of us. God always has been and continues to weave in the preaching of the gospel and the freedom of nations into our exchange; their glorious liberty and joy and peace is the song of Joel and I’s exchange. When we met, everyone yet to come to hear God’s good news through our lives was the dream alive within our hearts. I see God doing all this between Joel and I but its not just for us. Don’t get me wrong, I get to enjoy every minute of the ride, but the reason I get jacked up is all the fun and glory and love yet to come that WE GET TO SHARE WITH THE WORLD TOGETHER through our lives. How can the best things in my life continue to get better? This is too much fun. For those of you that know me but not Joel, I will share you with you that he has grown up knowing his life is not his own, has encountered God from a young age, and dreams of both the nations and the individual being introduced to and encountering the tangible love of God. In our exchange with one another he empowers my freedom, my dreams, my traveling, my speaking, my existing, my painting, my creating, and me just simply being me. Believe it or not, this is only some of this story, only some of God’s goodness and communication, and only some of the greatness of my hopes and anticipations.